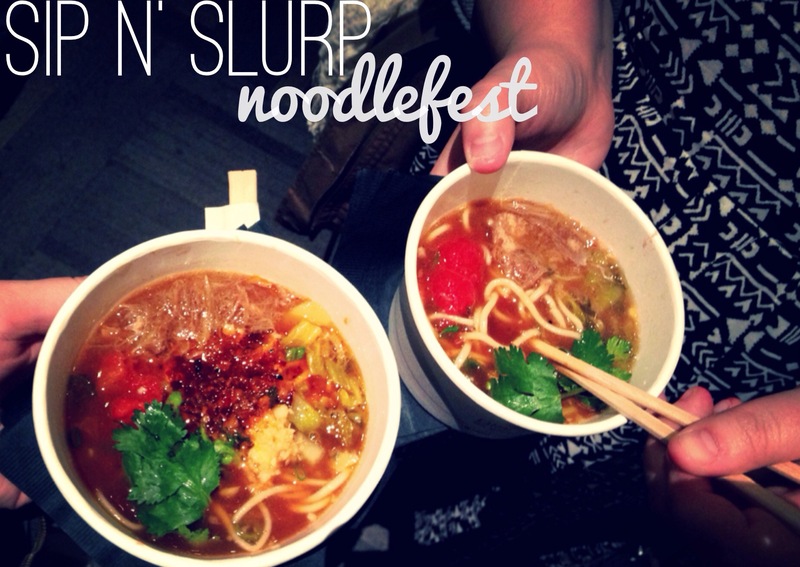 Based on the crowds and lineups at Privé Food Thought’s Noodlefest, Ottawa is super into sipping and slurping. There were two rooms this time; Privé learned quickly from their overpacked first event, the Underground Food Market, that one room for vendors and one room for eating was the best way to go. Even then, seating was scarce and line ups were long. 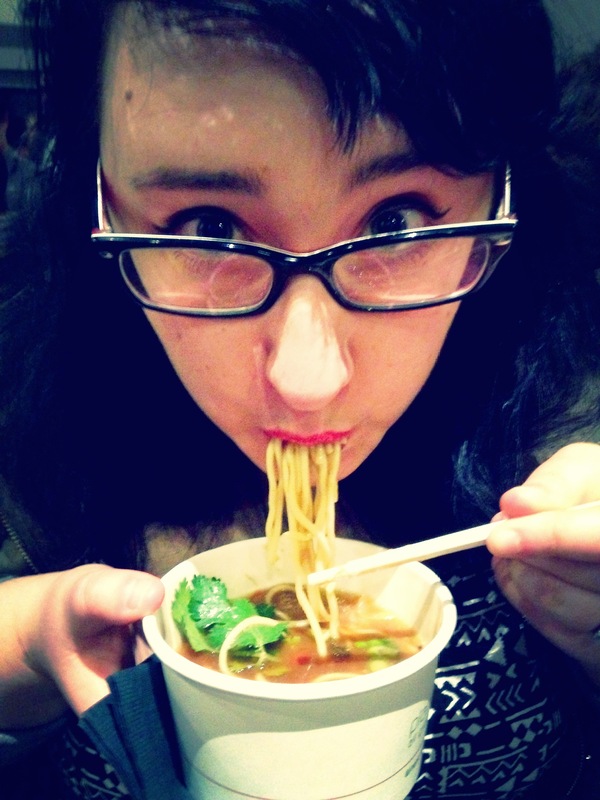 We took what we learned at the Underground Food Market and started to divide and conquer; MC took on the Phở Me? Phở You! line and I headed to Gongfu Bao. We waited about fifteen minutes in each line, though some booths had less and some had an even longer wait. I got two dishes from Gongfu Bao, the shiitake mushroom and the maple charsiu pork. 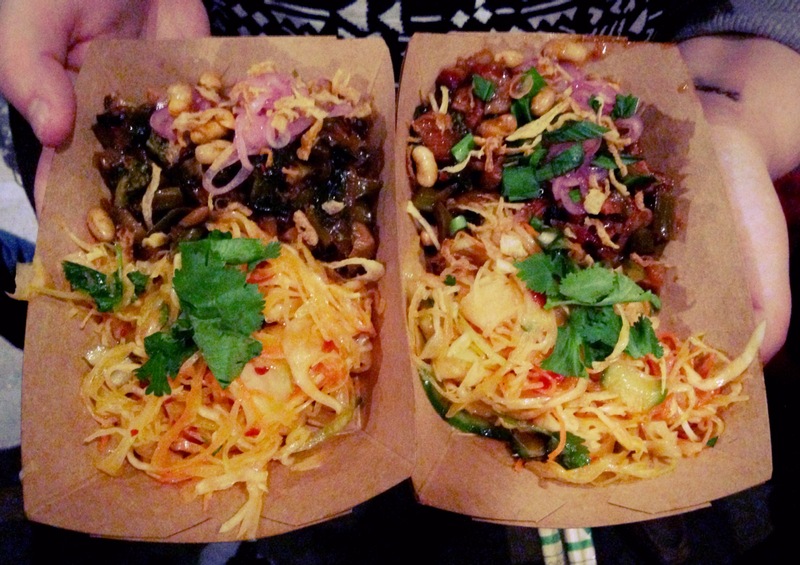 They’d actually suffered a severe noodle malfunction, but were serving the dishes up with their amazing ‘killer slaw’. Ok, confession: I hate slaw. But this? This I think I could eat buckets of. The pork was awesome too, but the shiitake mushrooms were beyond belief. I dropped my chopsticks and went for a spoon. Shiitake mushrooms and maple charsiu pork, with some seriously killer slaw. MC grabbed Phở Me? Phở You!’s Báhn Cuôn with ground pork and mushrooms. The filling was good, the noodle itself left something to be desired. After a brief floor picnic we moved back into the vendor area and ended up next to Jonathan Korecki’s station! Gongfu Bao and Pho Me? Pho You! 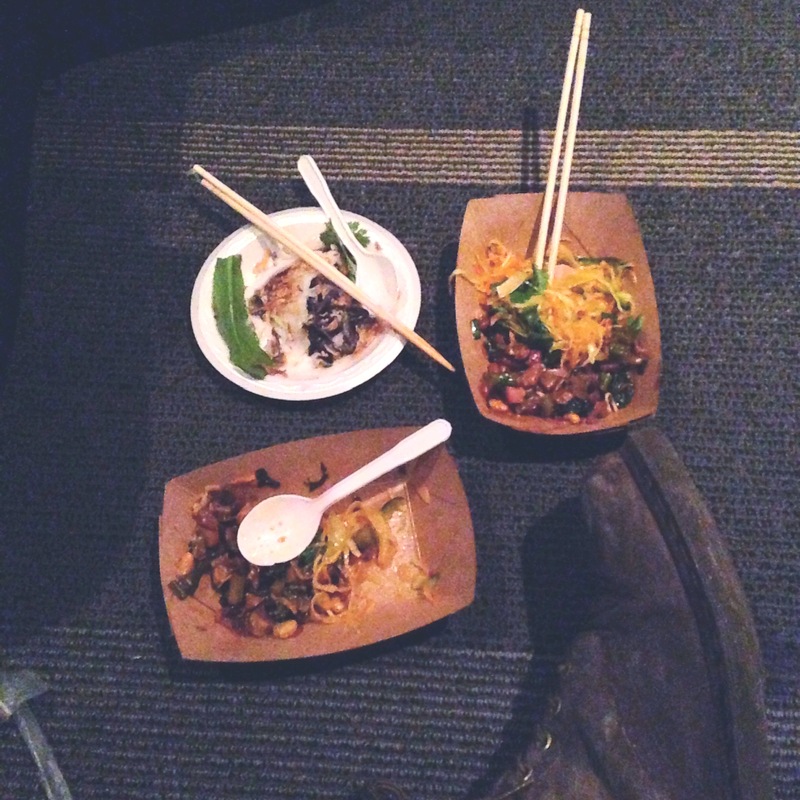 floor picnic! The only season of Top Chef we ever watched was the one with Jonathan on it, and we’d finally gotten to go to his restaurant, Sidedoor, recently, and after loving nearly everything on that menu, we were totally psyched to see what he was bringing to Noodlefest. Well, also duck. A bbq duck ramen, actually. We originally ordered one to share but quickly reconsidered and went back for a second one. And a bandana, because what better souvenir! Jonathan’s dish was the best one we tried; flavourful, perfectly seasoned and cooked to perfection. 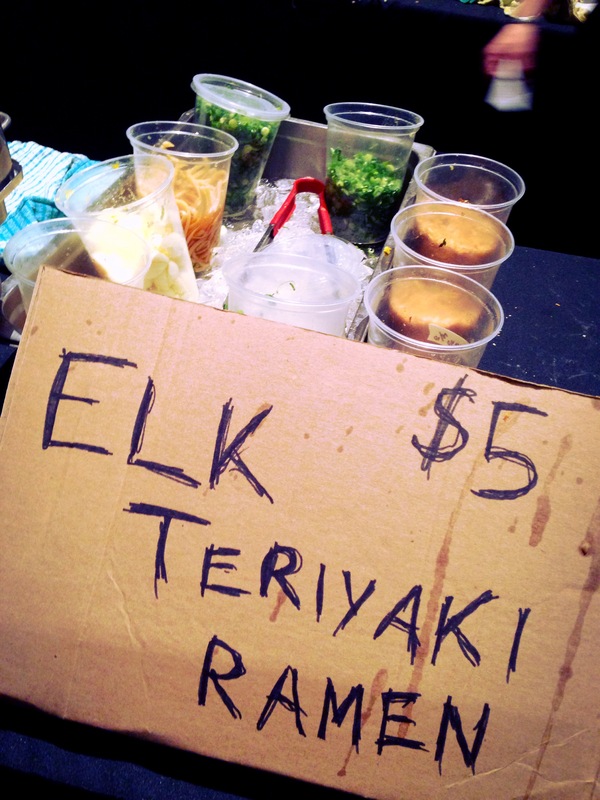 We ended our night with elk teriyaki ramen from MSG Catering. The elk was tender and delicious, and we got the freshest batch, since we’d waited for them to boil the water to cook the noodles! We loved the little containers it came in too, it made for a great presentation. 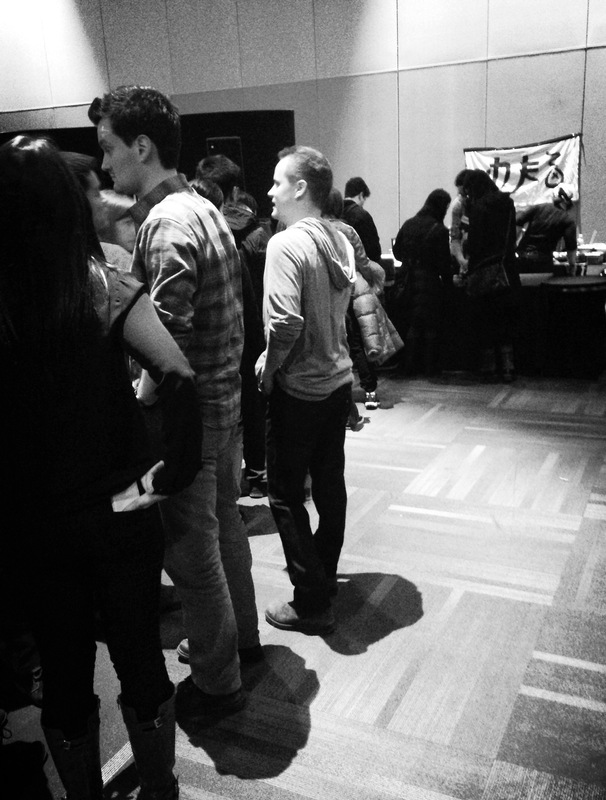 All in all, Sip N’ Slurp was a success for vendors and eaters alike. Next up: Tacofest. Stay tuned. Squad Leader Kelly sipping and slurping! So, maybe you have a great food idea. Maybe you’ve got the next cronut (the crookie?) or the next ramen burger (chicken chow mein sandwich?). Or maybe you have an ironclad stomach, a great eye for trends and a really strong opinion on your food. 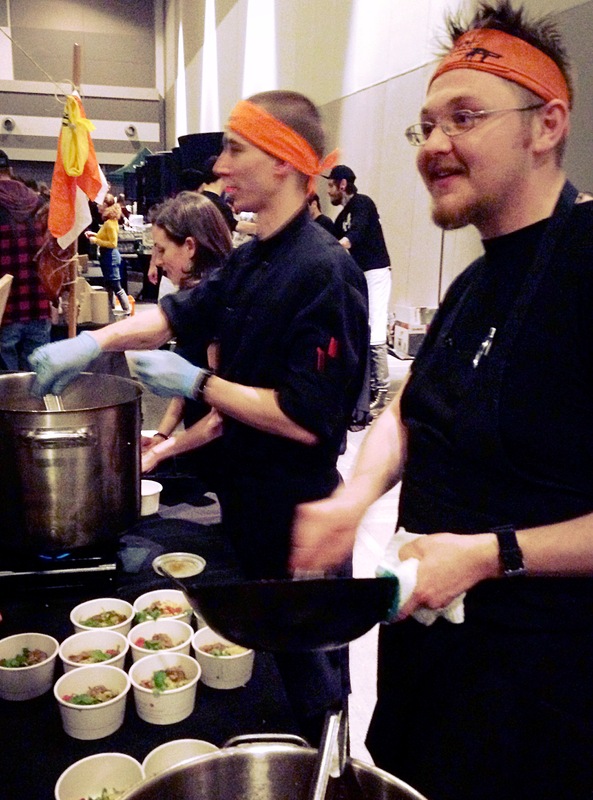 Privé Food Thought’s Underground Chef’s Market is a social event where aspiring chefs, professional chefs and entrepreneurs can premiere their newest recipes and where the adventurous public can try them all out. The Market is going to happen a few times a year, and for this month’s event, vendors can register for free! It’s ten dollars for the public to enter, and vendors will be pricing food for under ten bucks. The first one is going to be November 30th from 5-10pm at the Ottawa Convention Centre. So get your creative flow going, and come up with that next big thing. (Maybe avoid the whole chicken chow mein sandwich.) Tickets available here, and the vendor application is here!